Clutch Release (Standard Length) - Specialized shop for Datsun 1200. Except: Datsun 1200 PB series/Datsun1200 Ute Short Body. *Does not included clutch bearing. 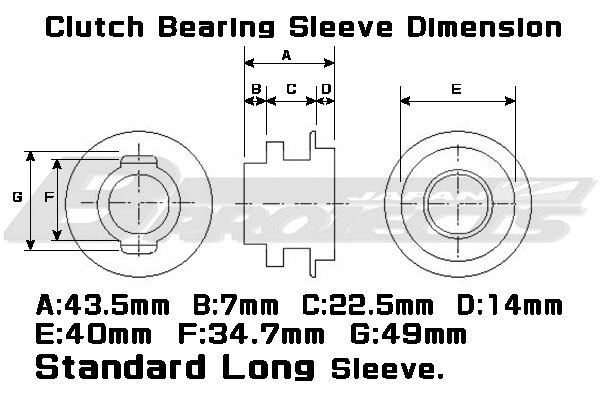 New OEM clutch release bearing sleeve for "Datsun 1200 7001 to 7305" & "long body of Datusn 1200 Ute". This is the part that the clutch bearing fits on. Also about the overall length is a 43.5mm for standard length.